A study from researchers at the University of Porto Medical School was recently published in the Nicotine & Tobacco Research journal. According to the study, only 50% of women stop smoking during pregnancy and of those, less than 35% maintain a smoke-free environment four years after birth. Public maternity wards in Portugal were used for the study. More than 5,400 women who gave birth in Porto, Portugal between 2005 and 2006 were included in the study. Follow-up was four years post delivery. Nearly 50% of women chose to stop smoking during pregnancy and another 40% reduced tobacco intake. 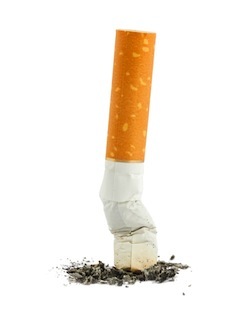 At the four-year follow-up only 32% of the women who stopped smoking remained smoke free. Contributing factors to maintaining a smoke-free environment included another pregnancy within the four-year timeframe, having a child diagnosed with asthma or breastfeeding for more than one year. Conclusion: About 50% of pregnant women choose to stop smoking, but only a small percentage of those women continue to abstain after the birth of their child. Skepticism about the dangers of smoking near children (secondhand smoke) is a contributing factor. Source: Alves E, Azevedo A, Correia S, Barros H. Long-Term Maintenance of Smoking Cessation in Pregnancy: An Analysis of the Birth Cohort Generation XXI. Nicotine Tob Res. 2013 Mar 18.